Bringing new visitors to your web site has become the most central and important marketing strategy. Strait Answers has created a phenomenal ‘search engine marketing’ program for RV resorts and campgrounds, which combines advertising for more customers and valuable web site analytics to improve SEO. 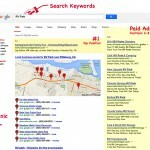 Advertising on Google has proven to bring more customers at lower costs than Good Sam’s advertising. I can prove it with Analytics! Everybody knows that the internet and Google have become a primary vacation research tool for RV park & campground consumers. Strait Answers can help your business tap into this information stream and put your ad in front of customers as they search. No matter what your budget you can display your ads on Google, AND you pay only when campers click your ads and visit your RV Park web site. Read below for more detail about our services. A FREE service where Google monitors the actions of visitors to your web site, and presents you with data and measurements about how customers found you. 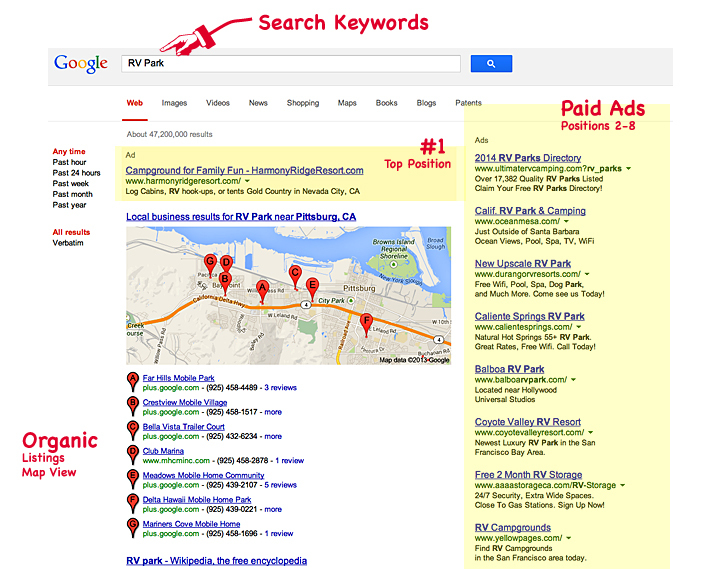 It will show you how many visitors actually come from paid campground directory ads! 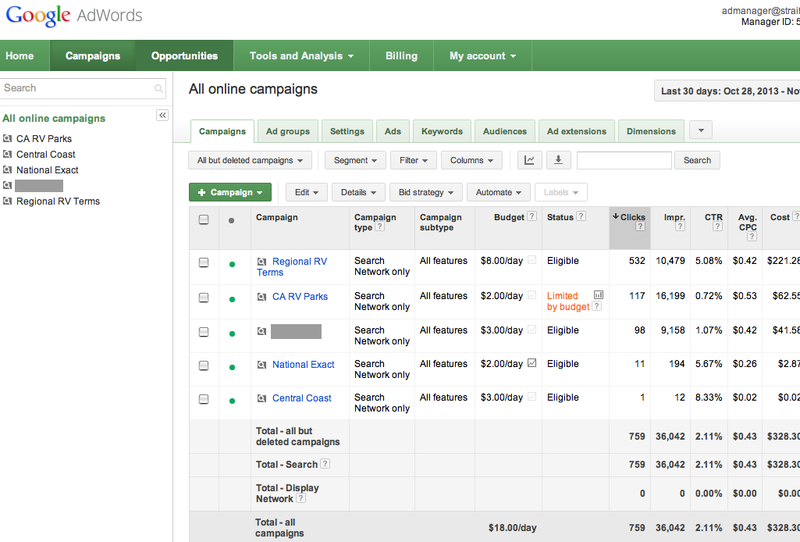 Strait Answers can help you start using analytics, or help you read the analytics reports you already have. Read below for more details. 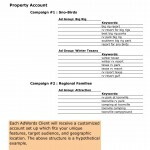 Place your paid ad on Google! 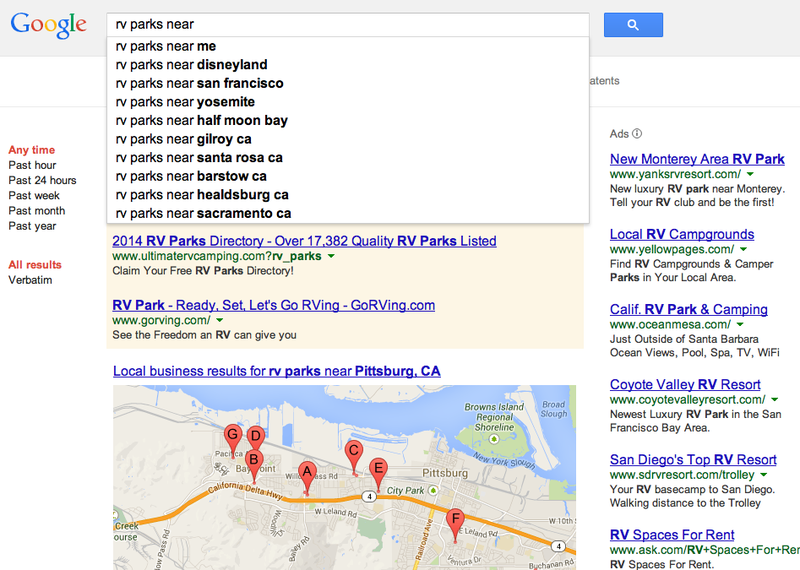 Typical RV park search terms. Put your ads on computer screens at just the right time! The best place to advertise your property is where and when consumers are actively searching for campsites in your area. Google’s main focus is to make sure the ads they display are relevant to the consumer’s ‘search intent’. 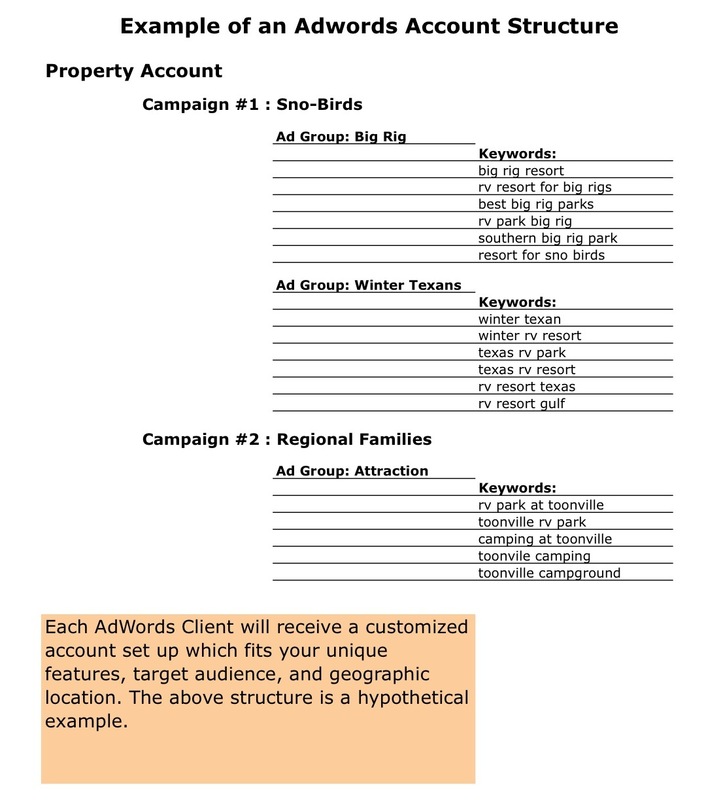 The ‘search terms’ consumers type in must match your ad, keywords, and your web site content. 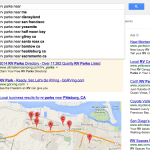 Google maintains its popularity by prioritizing and presenting only relevant ads. Strait Answers offers several Search Engine Marketing (SEM) packages for campgrounds which will put your ad right on the search page exactly when your customers are planning their next trip. Our ‘campground’ SEM packages are very affordable, use the power of the internet, and are based on our deep understanding of RV park marketing. Will Google advertising work for me? Contact David Strait for a complimentary review of your web site and web presence. Actual Example: Click to see a larger ‘dashboard’ screen. 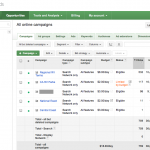 The FREE program from Google® called “Google Analytics” has revolutionized ad tracking and results measurement for businesses large and small. You absolutely MUST implement this free service on your web site, in order to understand how your marketing efforts (online AND off line) are performing. Most of Strait Answers’ search engine advertising packages for campgrounds include monthly reporting and analysis of your web site’s performance using Google Analytics. This service brings a wealth of important data about your visitors, including geographic, demographic, web use, and more. Cindy Wimbish, Orangeland RV Park.